2. Hating the town next to yours even though it’s basically the same town. 3. Owning this exact North Face at one point in your life. 4. Going to Stewart’s to get ice cream even if it’s like -4 degrees out. 6. … and wearing heavy jackets when it’s 50 degrees out in October. 7. Always seeing some idiot at a grocery store in shorts during a blizzard. WHAT ARE YOU DOING?! YOUR POOR SHINS! 8. Being low-key obsessed with a grocery store chain to an unhealthy degree. 9. Leaving Upstate and realizing all other grocery stores are just inferior and you will never, ever find something as superior as your favorite grocery store chain. Can we talk about this grocery store? I’m dyin’ to talk about this grocery store. 10. Being way too excited about some random famous person growing up like an hour and half away from you. 11. Having a ten Ugg pileup be a normal part of life. 12. Telling people you’re from a way bigger city three towns over just because there’s no way in hell they’ll have heard of the place you’re actually from. 13. Creating large fires in remote locations (you probably shouldn’t be at). 14. Having a passionate stance on whether drums or flats are the best chicken wings. 15. 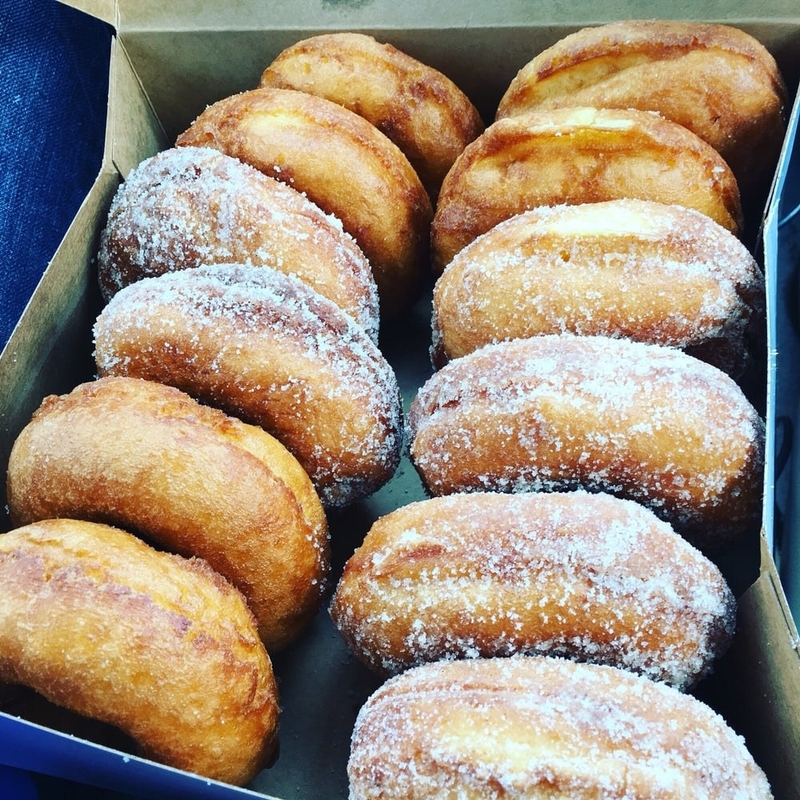 Insisting that the best type of donut is a cider donut. 16. Having a friend of a friend with a house on a lake, a friend of a friend with a trampoline, and having a friend of a friend with a hot tub that you can exploit year-round. It’s all about those friend of a friends. 18. Being familiar with all the major Upstate New York seasons. 19. Getting way too angry about that one school that is always closed. And getting upset when you only get a 2-hour delay. 20. Praying for freezing rain because that’s the REAL snow day maker. 21. Getting yelled at to shovel the driveway by your parents and begging them to get a snowblower. 22. Knowing the truth about pizza. 23. Knowing October is low-key the best month because you get to go to one of those Halloween mega farms that has haunted hayrides, haunted houses, and corn-mazes. Can we talk about foliage? I’m dyin’ to talk about foliage. 24. 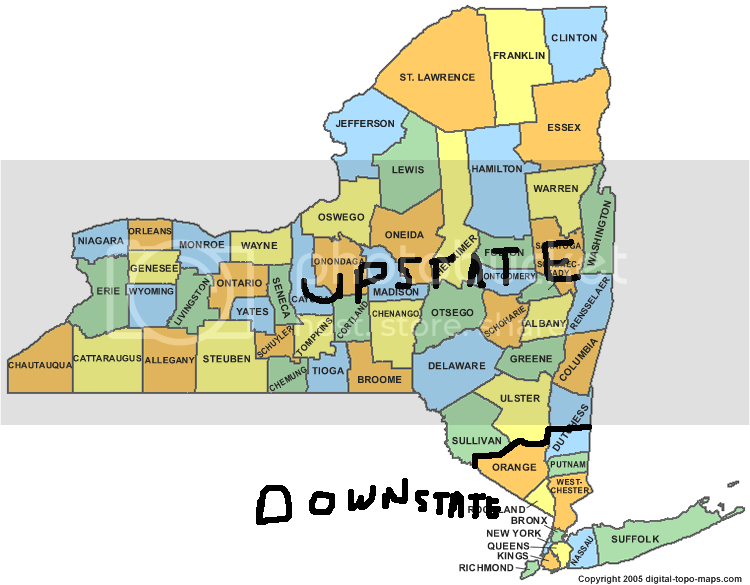 Getting into heated arguments about what constitutes upstate vs. downstate. 25. Trying to explain to people what a garbage plate and spiedies are and being met with concerned looks. And then being met with more concerned looks. 27. Having your high school be really good at lacrosse for no discernible reason. 28. Having an extensive knowledge of SUNY schools and extreme biases and judgments on them. 29. Apple picking, being an expert at avoiding bees while apple picking, having enough apples to last you to Thanksgiving because of apple picking, and having SERIOUS preferences over apple types. 30. Drinking Keystone Light in a field, the woods, or someone’s parent’s basement somewhere. 31. Going to several Dave Matthews concerts even if you’re not into Dave Matthews Band at all. 32. And last, but certainly not least, Upstate culture is people from Buffalo screaming in the comments about how they’re from Western New York.